Homemade quilts add interest and colour to a room and often become family heirlooms, being passed down to the next generation. Despite being much-loved items, though, many people are put off by the amount of time and effort required to create a quilt. 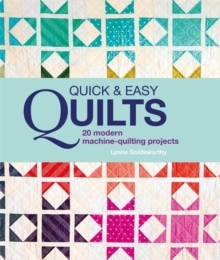 Cue Lynne Goldsworthy, quilter and creator of popular quilting blog Lily's Quilts, with a gorgeous collection of quilts that are quick and easy to make with your sewing machine - some can even be done in a weekend. Quick & Easy Quilts focuses on projects made from big blocks, meaning that the finished project, whilst still beautiful, can be made in a fraction of the time. 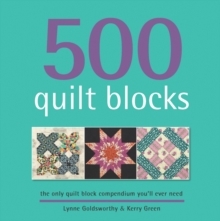 With her bright, modern designs and easy to follow instructions, this is a must-have book for any wannabe quilter. Twelve stunning quilts include the bright and lively Summer Picnic quilt and the impactful Supernova quilt, whilst a further 8 smaller projects include bed runners, wall hangings, cushion covers and more.